I am not a fan of seeing people pummeled in the face or of hearing bones crack. That is why I dislike kickboxing, which many call "UFC." Still, as a self-dubbed lifelong learner, I am open-minded to new things. So I gave UFC a chance, but was not enamored by it because of the overt violence. Connected to my open-mindedness, I also have been reading about our solar system and planets and was amazed by the information in the 47-page book "Extreme Planets!" by Mary Kay Carson. While many might consider "Extreme Planets!" a mere children's book, I was shocked by its information that I should have already known. Holy balls! 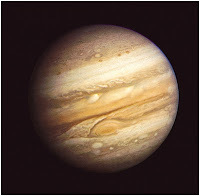 Jupiter is a huge planet. 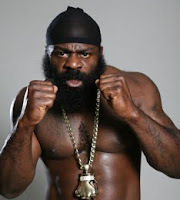 It is bigger than all the other planets combined and is the Kimbo Slice of planets. Also, most of the planets - except for Mercury, Venus, Earth and Mars - are made of gasses. Jupiter has 63 moons. Although its atmosphere is whack, if there is life elsewhere, Jupiter's moon Europa has the best chance of having life. One moon, Io, is full of volcanoes. Another one, Ganymede, is the biggest in the solar system. But Europa. Wow. That sucker has water and ice, and that means there is the potential for microscopic life. Who knew? Well, I guess a lot of people, but as I was reading this to my preschool daughters, I was shocked and realized this: "Daddy has a lot to learn about Jupiter."